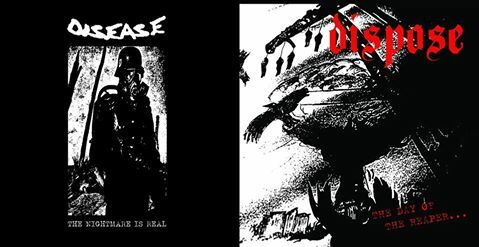 The long awaited split 7' between Disease (Macedonia) and Dispose (Sweden) is finally out! 6 tracks (3 by each band) of totally raw brutal assault,heavily influenced from the Japanese D-beat Raw Punk bands as Diclose,D-clone and Uk's legendary Discharge. Limited to 320 copies.